If a hospital patient requires the assistance of a ventilator or respirator in order to breathe sufficiently, they are already vulnerable and weak. If they develop an infection, it could be catastrophic, even deadly. 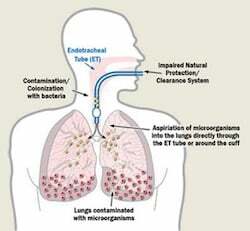 Sadly, many patients in such condition do acquire serious infections and illnesses, including pneumonia, as a direct result of ventilators that were improperly cleaned, maintained, or used. Ventilator-associated pneumonia (VAP) is a common – but preventable – problem that sickens or kills thousands of hospital patients in the United States every year. Patients who fall ill or the families of those who die as a result of such preventable infections may have a claim for medical malpractice. The Rich Firm, PC’s Washington DC ventilator-associated pneumonia lawyers can help. With a long track record of obtaining compensation for victims of medical malpractice and surgical errors, our attorneys are relentless in their efforts to get our clients the resources they need to recover from their injuries and move forward with their lives. Ventilators are machines which help hospital patients breathe by providing oxygen through a tube inserted into the patient’s mouth or nose, or through a hole that doctors make in the patient’s throat. 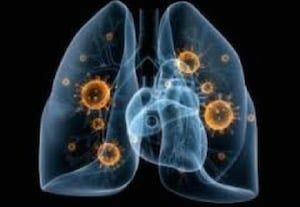 VAP may be the cause of up to 60% of all deaths from healthcare-associated infections (HAIs) in the United States. VAP is the most common and fatal healthcare-associated infection, affecting up to 28% of ventilated patients. Approximately 33% of patients who develop a ventilator-associated infection will die as a result. When a hospital fails to meet the appropriate standard of care in the maintenance or use of ventilators and a patient is sickened or dies as a result of ventilator-associated pneumonia, the Washington DC, Washington DC surgical error attorneys at The Rich Firm, PC can help. Our lawyers, a number of whom are also licensed physicians, are committed to the well-being of our clients and fight tirelessly to get them the highest amount of compensation possible. If you have been injured or lost a loved one as a result of ventilator-associated pneumonia, please give us a call at 888-RICH-LAW (742-4529) to set up your free consultation or contact us online. We look forward to assisting you.